Are you a student and want to succeed in your exams? Are you a business man looking forward to succeeding in your next investment? Is your family member bound to have a surgery and you truly want it to be a success? Are you intending to achieve some success in any area of your life? 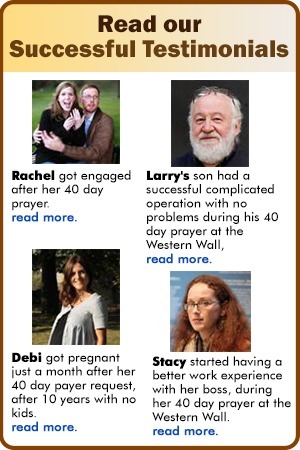 Well, if the answer to all those questions is yes, then this article is meant for you. Apart from working hard and being determined, one of the best ways that one could realize success, despite the situation at hand, is to seek divine intervention. 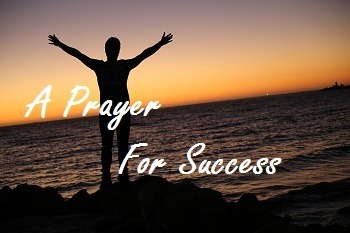 This can be done by offering a very powerful prayer for success unto God with absolute faith in him that he is going to answer your prayer and grant you success. Having faith in him gets the job half done. All you have to do now is give it your best and allow God to work his mystical power upon your situation. Perhaps the best place to offer your prayer for anything is at The Wailing Wall in Jerusalem. This place has been acclaimed globally for providing a prayer home for many believers across the world of all religions from all walks of life. Once you step foot at the vicinity, you get to experience a substantive change in the environment and sooner rather than later, you will be in a mood of prayer and you will find yourself deeply engrossed crying your heart out unto God for success. On leaving the place, you will feel suddenly rejuvenated, strengthened, revitalized and the hope for success in your future life, which once seemed bleak, is restored. This is absolutely a wonderful feeling that emanates from praying at The Wailing Wall. One could easily feel the evidence of success for things hoped for even when they have not yet been manifested. We live in a very vast and dynamic world. With that said, it is clear that some of us can’t travel to the old city of Jerusalem to experience the power of prayer at The Wailing Wall. It is therefore for that reason that Prayer in Israel was born. This is a prayer team based in Jerusalem whose main aim is to partner those who cannot make it to the wall with a prayer partner who will readily make trips to the wall for 40 consecutive days to offer a prayer for success for you. Do not be perturbed whether your prayer will be answered. We guarantee you that you will have a better chance of being granted success by the almighty and you could as well give a testimonial to attest the doing of the Lord.